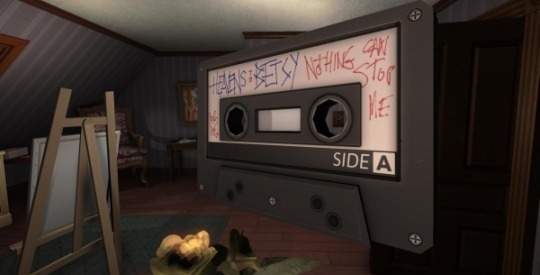 I’ve been meaning to play Gone Home for what feels like forever, and today I finally sat down to play through it in one sitting, which is how I think you should play this game (and it’s very doable, at about 90 minutes). I found myself really enjoying the experience, and especially dug the music that you play at various points by way of cassettes that you find (since it’s 90s indie rock, which I rather like a lot). The one thing that I felt should be changed is that I was able to finish the game before I made my way to the basement – after finishing the game, knowing I had a key to the basement, I went back in and found there were quite a few narrative elements left to experience, especially when it came to clarifying what happened to the parents. But yes, as has been said by so many people, this is really something you should take the time to play through – a nice bit of experiential play.